Colombo: Sri Lanka plunged deeper into crisis on Saturday after President Maithripala Sirisena called a snap election, leaving the country facing a further two months of damaging political paralysis with a pair of bitter rivals claiming to run his government. In what opponents condemned as an illegal move, Sirisena dissolved parliament on Friday and announced a January election after it became clear his designated Prime Minister -- former president Mahinda Rajapaksa -- would not be able to command a majority in the current legislature. Sirisena signed a decree dismissing the island's 225-member assembly and scheduled parliamentary elections for January 5, nearly two years ahead of schedule. There was no immediate comment from Wickremesinghe, but his United National Party (UNP) said it will challenge Sirisena's sacking of the legislature. "This dissolution by the President is illegal and goes against the constitution," the UNP said on Twitter. "We will be fighting this to ensure that democracy reigns supreme in the country." "He has robbed the people of their rights and the democracy that we have enjoyed," the UNP said. 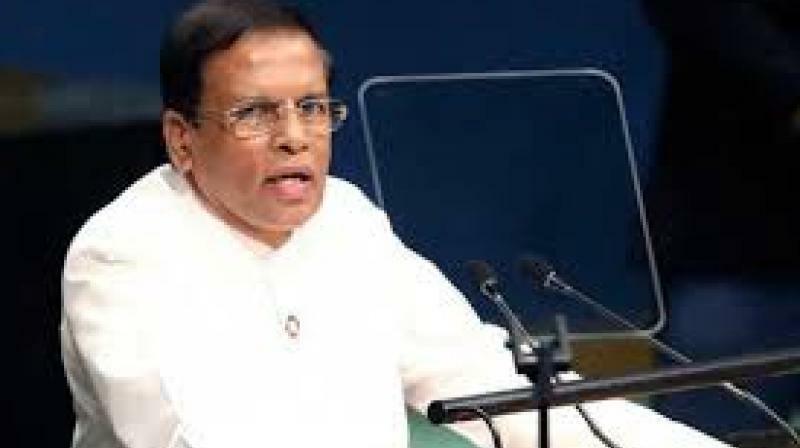 Washington swiftly criticised Sirisena's latest move. "At the moment we have 104 or 105 MPs," UPFA spokesman Keheliya Rambukwella told reporters, adding that the Sirisena-Rajapaksa group hoped to secure support from "crossover" legislators. Several legislators have said they were offered millions of dollars to switch allegiance and at least eight have already jumped to the president's side. The EU said on Friday, before the dissolution, that the crisis had scarred the Indian Ocean island's international reputation. Wickremesinghe late on Thursday thanked his supporters and urged them not to give up in the showdown. "You have not let this country be plunged into the darkness of dictatorship. For this inspiring effort, I want to thank everyone who has risen to fight for democracy and justice," Wickremesinghe said in a video posted on Facebook.